A jeep has a specialized place which can never be captured by any car or vehicle. In Pakistan Suzuki has traditionally captured this market through it successful 1000 cc Suzuki Potohar and imported Suzuki jeeps. No other company like Honda or Toyota has given sufficient degree of competition to Suzuki in this category. Toyota has its land cruiser jeeps but they have adopted those into big and expensive SUVs which cannot be compared to a jeep like Suzuki jimny. New Suzuki Jimny 4×4 jeep is a good product by Pak Suzuki Motor Company which is empowered with 1300CC powerful engine. This jeep has been purchased by both the private and public sector organizations. Government of Pakistan has purchased a lot of Suzuki Jimny for field engineers who have to travel through difficult places with poor roads for the surveys and field inspections. The design of latest 2010 model of Jimny was changed to make it more modernized and comfortable. The Jimny 4×4 JLX is equipped with a newly designed 16value four-cylinder fuel injected engine. A ladder type chassis and a dual ration transfer case is the proof of its high standards. 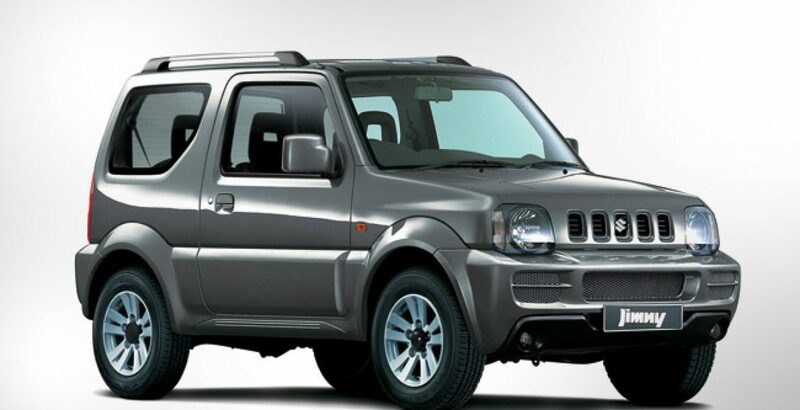 Suzuki Jimny features a part time 4WD system and large windows giving excellent visibility. The air conditioning system controls the heat which is generated by large glasses. Some of the most powerful characteristics of Jimmy include roof rails, power steering, power windows and electronically adjustable exterior mirrors. This model is available in 5-speed manual or 4 speed automatic gearboxes. Seat material of Jimny JLX is made of durable fabric in black and grey color. The joy of Jimny JLX is enhanced with DVD player, three front cabin lights, Fog lamps (Front), and Front & Rear seat belts. As concluding remarks I must say that this vehicle is truly a utility vehicle by Suzuki for Pakistani markets.